The E3 show in the US city of Los Angeles drew big crowds this year, and was the huge media event we expect from the greatest video game show in the world. Of course, like in previous editions of E3 we got to see some exciting video games at this year’s event. There was also a pretty big reveal from Microsoft as the company finally announced its new Xbox console, while several virtual reality games were also in the spotlight at the show, suggesting VR might actually become the next big thing in video gaming. And without further ado, here follows a list of the top highlights at this year’s E3 show. Known as “Project Scorpio” until E3 2017, Microsoft finally revealed that their new console will be called the Xbox One X. This might not as cool a moniker as Scorpio, although it’s clear that Microsoft’s new machine does pack an impressive amount of power in its small case. 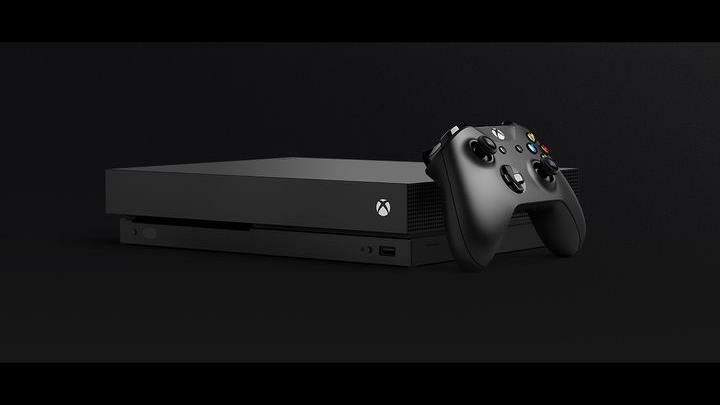 Actually, it features a custom made AMD graphics processor capable of delivering whooping 6 teraflops of performance, while the rest of the Xbox One X’s specs (it comes with a 1 TB drive and ultra-high definition Blu-ray as standard) are equally impressive. And Microsoft showed off several games running on the X at E3 2017, including the eagerly-anticipated Middle-earth: Shadow of War and Assassin’s Creed Origins. Plus seeing Forza Motorsport running at 4K resolution and 60 frames per second on the large demo screen sure wooed many observers at E3. It remains to be seen though, whether games on the Xbox One X will end up looking much better on Microsoft’s new console than on the PS4 Pro, as Sony’s exclusivity deals could lead to parity between both machines in games such as Destiny 2… But it’s clear that the Xbox One X is a bold step in the console hardware space, so here’s hoping it does lead to bigger and better-looking games in the future. If one thing is clear, is that French video game company Ubisoft was one of the major players at this year’s E3 show, showing off an impressive line-up of games. Amongst these were highly-anticipated games like Far Cry 5 and Assassin’s Creed Origins, the latter arguably being the star game of this year’s show. But Ubisoft had other upcoming releases to talk about at E3 too, including games like The Crew 2, Beyond Good and Evil 2 and Skull and Bones. And the latter has drawn quite a bit of attention as it’s a spin-off of the great Assassin’s Creed: Black Flag, featuring naval combat and pirate-y gameplay with online multiplayer features. 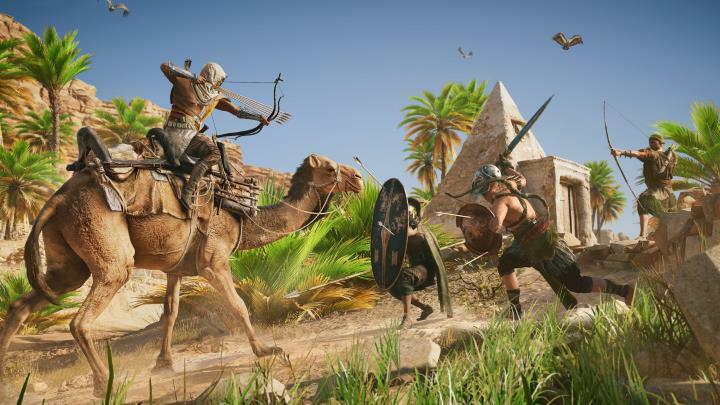 There’s no denying though, that Ubisoft’s hopes are resting with Assassin’s Creed Origins, which could become a top-seller this year, as it’s the next major game in the series after 2015’s slightly disappointing Assassin’s Creed Syndicate. And Origins not only is a reboot of the series, featuring an origin story about how the Assassin order came to be, but is also set in ancient Egypt. So expect to be able to climb the Pyramids here, raid the tombs of the Pharaohs and even fight mythological creatures as seen in the game’s exciting trailer above. Plenty of video game developers have jumped on the VR bandwagon since headsets like the Oculus Rift, HTC Vive and Sony’s PlayStation VR hit the market last year, with some pundits now thinking that VR might actually end up being the next big thing in gaming. And quite a few VR games were shown off at this year’s E3, proving that game companies have taken an interest in delivering virtual reality gaming experiences. Previewed at E3 were games like Fallout 4 VR, with Bethesda releasing a spectacular trailer for the virtual reality version of their highly acclaimed post-apocalyptic RPG from 2015. Fallout 4 VR will only be available for HTC’s top of the line Vive headset though, although another Bethesda property, namely Doom, will be getting the VR treatment too and will be available for PSVR as well. Also interesting is Ubisoft’s Transference, a virtual reality video game created in collaboration with Lord of the Rings star Elijah Wood, and which has some serious cinematic aspirations. And let’s not forget Supermassive Games’ The Inpatient, a prequel to their horror game Until Dawn which was icing on the cake in what no doubt was a great E3 for virtual reality games. Gamers have been eager to see more of Detroit: Become Human ever since Quantic Dream’s game was announced back in 2012. And the truth is that designer David Cage’s latest adventure game not only looks incredible, featuring a wonderfully detailed Blade Runner-like sci-fi world, but also looks like it will have a superb cast of characters judging by the preview videos we’ve seen so far. 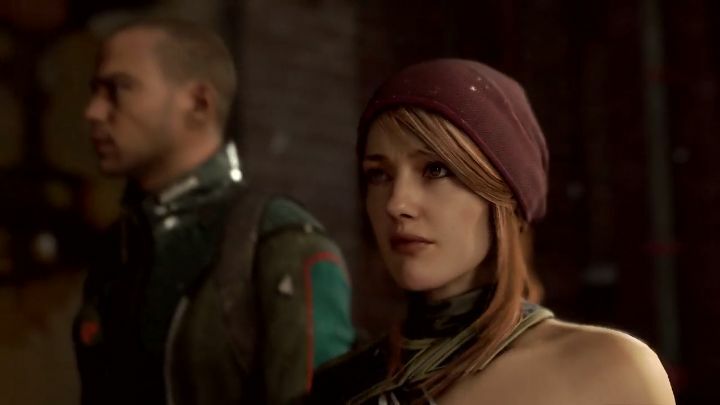 So it’s not surprising this was one of the stars at this year’s E3 show, where a new trailer for the game was shown during Sony’s press conference. This highlights some of the gameplay choices you will get in this upcoming sci-fi adventure, while also showing off Detroit: Become Human’s atmospheric futuristic world. And there’s no doubt that this is a superb-looking game and one of the most highly-anticipated PS4 exclusives to this date, so here’s hoping it does turn out to be a good game when its released sometime in the future. Next: Is the Dawn of the Creed Collector’s Edition of Assassin’s Creed Origins worth $800? Is the Dawn of the Creed Collector’s Edition of Assassin’s Creed Origins worth $800?